TOP 10 THINGS FOR FALL! Click here to "like" my Facebook page! 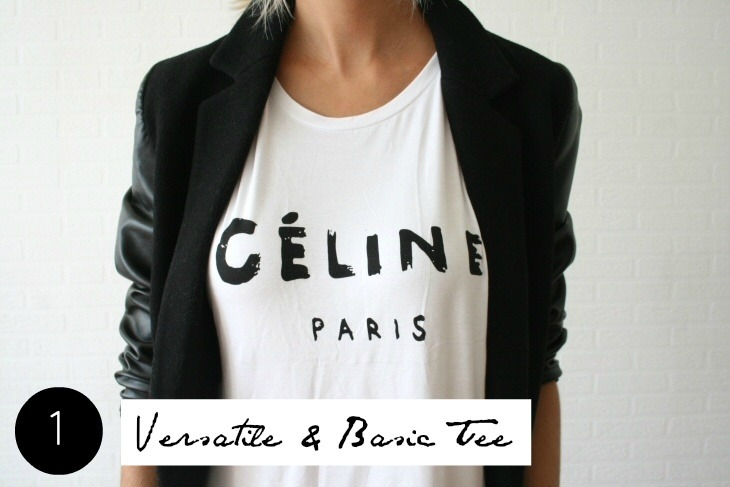 Nothing to better help you transition from the sizzling hot temperatures to comfortable weather than using a basic tee. When the temperature drops you can style it with a colorful cardigan or a leather-sleeved blazer like the one above. Army prints are seen everywhere, and this one looks like it fits like a glove. Get it now at zara.com! Yes, we have all seen these sneakers before... however Isabel Marant changed the original version to this fantastic suede one. 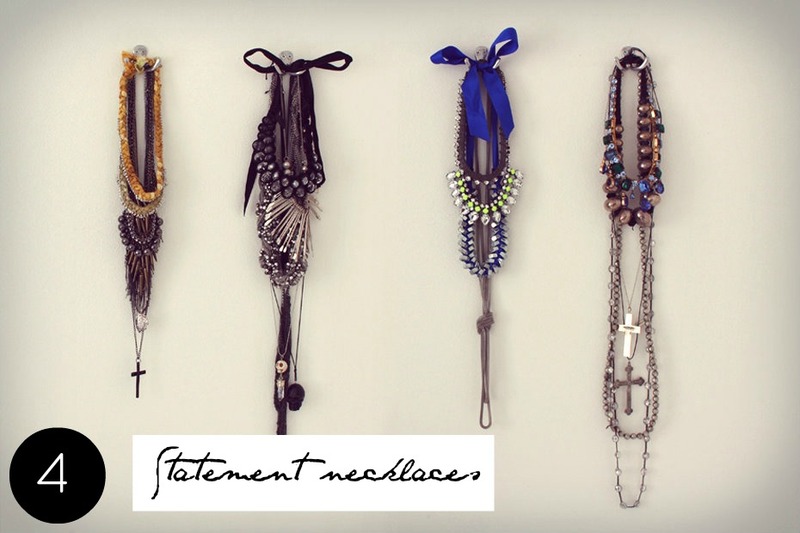 Go for darker and bolder statement necklaces for the fall. Stay away from super bright colors that scream summer. 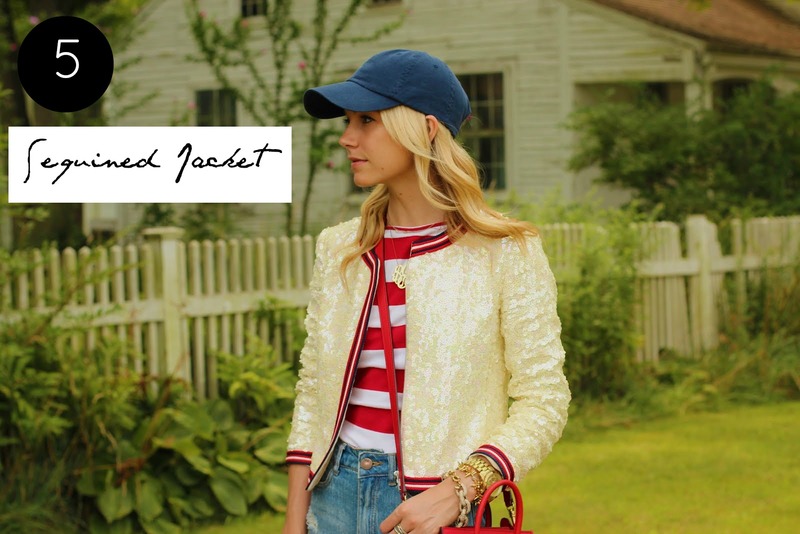 This sequined jacket from Jcrew is the perfect way to turn your every day boring outfit into something fabulous! Its a great addition to any closet because such a versatile piece can be dressed down or dressed up. I find long-sleeved lace dresses to be so feminine and romantic. To spice them up a bit use it with short booties for an edgy feel. 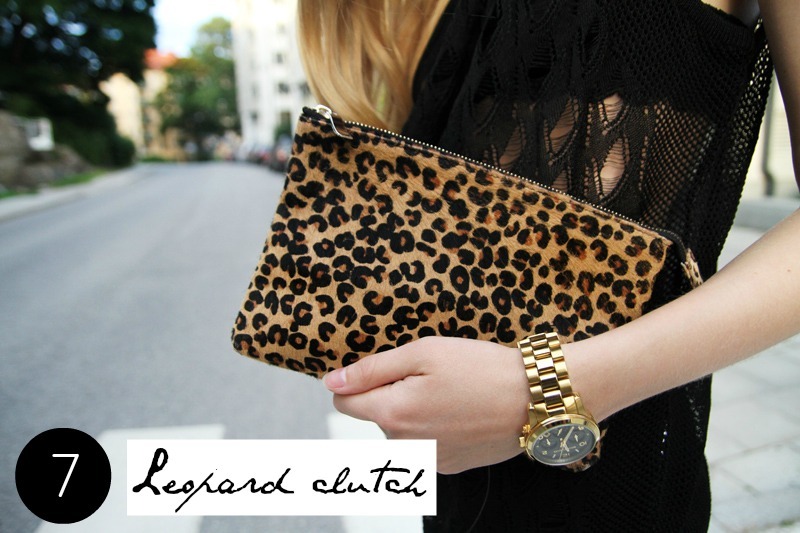 A leopard clutch, or scarf, or sweater- or anything leopard by that matter, is so essential for Fall. I love this leather skirt on Carolina Engman from the blog Fashion Squad as it is a perfect fall outfit. She is showing some skin but at the same time, she is maintaining a balance with her cozy sweater. 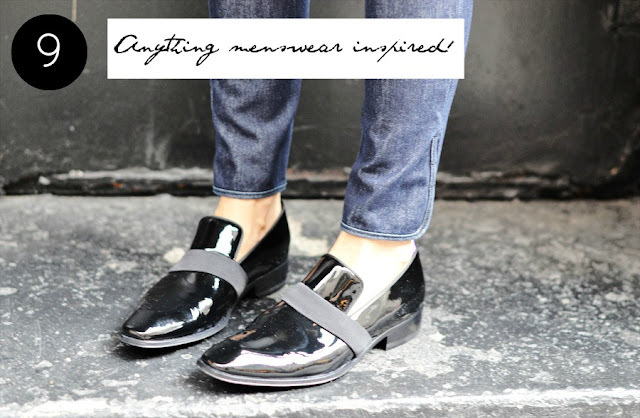 I love taking my menswear inspired oxfords when the temperatures start dropping. It is a look that I dont tend to reach for during the summer. Another alternative to achieve a perfect menswear inspired look, is a simple loose white shirt with perfectly tailored pants. Of course everyone dreams of having this Celine bag... it is mid-sized, yet super spacious, and goes well with about anything!